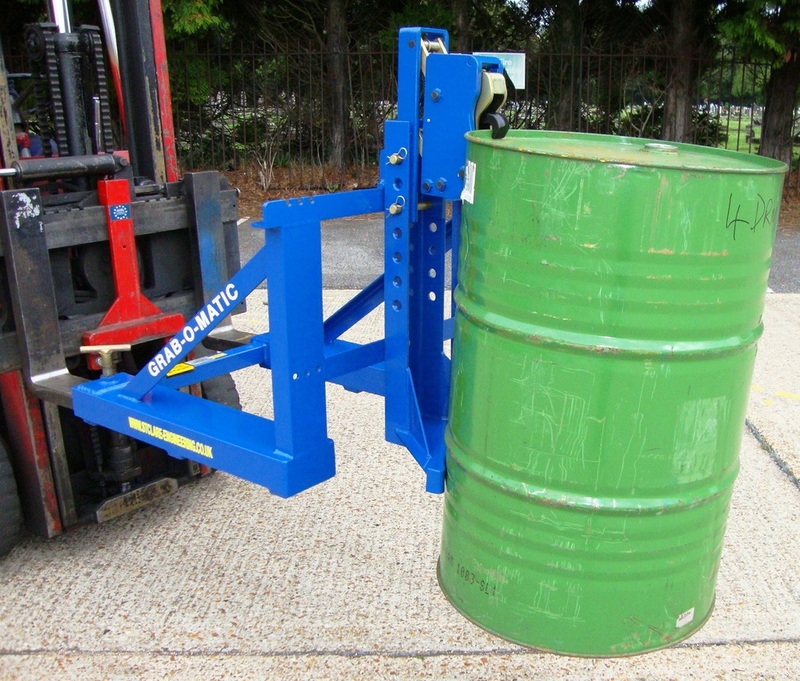 The St Clare Engineering range of Grab-O-Matic fork attachment and pedestrian drum handlers offer a safe and efficient means of loading or unloading drums from lorries or containers, de-palletising or just generally moving drums around a site. The Grab-O-Matic DLR range of rim grip drum handlers are suitable for all types of steel drums, plastic ‘L’ ring drums and most fibre drums. The range includes the SC10 for lifting and rotating drums to dispense the contents, scissor grabs, base gripping units and waist grippers. The entire range can also be fitted to pedestrian stackers. Bespoke units can be made. A recent development is a ‘Quick Release’ fork attachment drum handler which automatically attaches and disengages from the forks and eliminates the need for the driver to dismount from the cab to attach or release the units, enhancing safety and saving time. All Grab-O-Matic fork attachments are issued with Test Certificates, CE marked and manufactured entirely in the UK to ISO 9001:2015.